This product is expected to ship on Wednesday, April 24 if you place your order within the next 19 hours and 56 minutes. 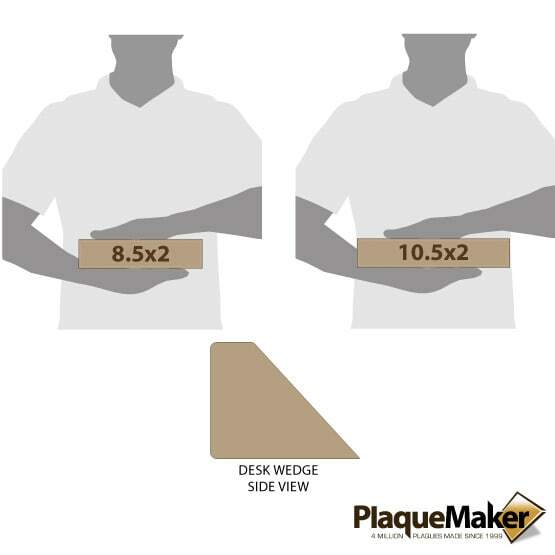 At PlaqueMaker.com, we offer leatherette desk wedges to add a more rustic vibe to your office or study. Our light brown synthetic leatherette offers the look and feel of genuine leather but is water-resistant and easy to clean. We offer these in four different colors and two different sizes, so you can pick out the right style and size for the perfect fit. 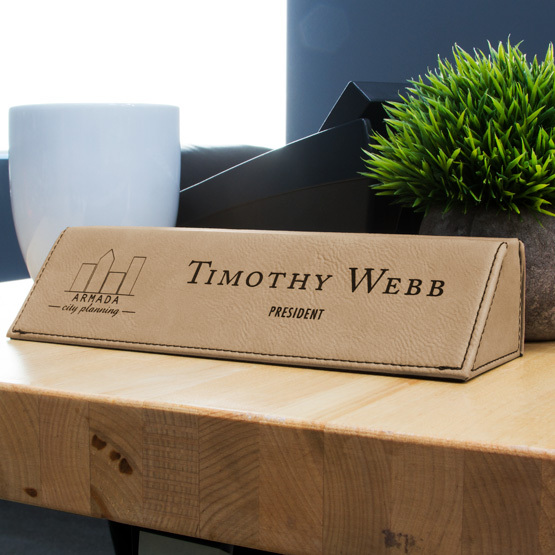 Not only will our faux leather desk wedge give your office a more personal touch, you can also customize your name, image, or design of your choice—all for no extra cost. Our online design tools make it easy. You just upload your name and image and we’ll take care of the specifics for you. We even have numerous clipart images that you can choose from if you don’t have an image of your own. Our leatherette desk wedges are both affordable and high quality, so this product makes a great gift idea as well. It’s great for a coworker or for your spouse whose office needs an upgrade, but what about a son or grand-daughter who wants to pretend to go to work? 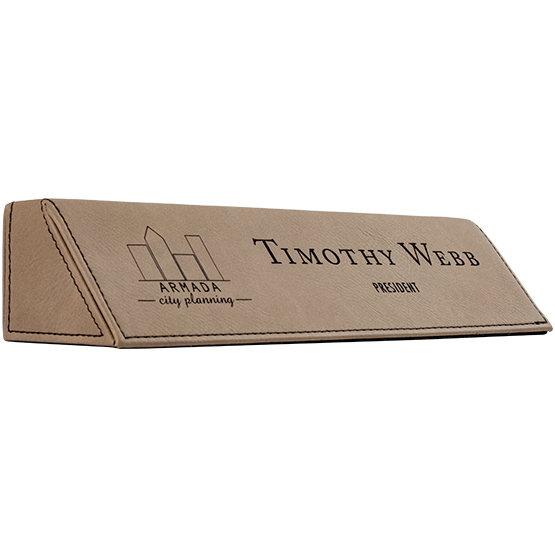 A desk wedge that matches their mentor’s but with their own name and unique image could be a cherished present for years to come. Stand out at your office with a professional look. Order your faux leather desk wedge today and receive free shipping!